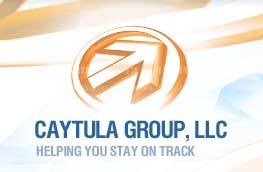 Caytula develops systems to assist you in making your business run more efficiently. Don't pay for what you don't need! We create systems to your specifications or can customized one of our existing systems to your requirements. All our systems follow the same philosophy: Keep it simple - Do the job! Our interfaces are straight-forward - easy to learn and the entire system is optimized for performance. If you have a requirement, contact us to discuss how we can assist you. Caytula's Interactive Assessment and Registration System (IARS) is a web-based system for conducting pre-qualification and pre- and post tests for technical and desktop training courses, registration modules for student registrations, evaluation modules for the students to complete evaluation forms, administration modules, various reports, and many other features. For a complete description, please download our brochure or contact us. We will be happy to provide a demostration at your convenience. Copyright © 2005 Caytula Group, LLC. All Rights Reserved.